Pointwise’s current mesh curving technology was used to generate this quadratic mesh with prisms and tetrahedra for a generic spacecraft lander from the ESP gallery of geometries. Image created using ParaView. 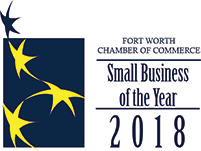 FORT WORTH, TX (13 March 2018) – Pointwise's Small Business Innovation Research (SBIR) Phase II proposal “High Order Mesh Curving and Geometry Access” has been selected for award negotiation by NASA. This two-year, approximately $700,000 effort will advance Pointwise’s current mesh curving technology and permit mixed order meshes and h-p adaptation in a parallel environment. Pointwise, Inc. is solving the top problem facing CFD today – reliably generating high-fidelity meshes. The company's Pointwise software generates structured, unstructured, overset and hybrid meshes; interfaces with CFD solvers such as ANSYS FLUENT®, STAR-CCM+®, OpenFOAM®, and SU2 as well as many neutral formats, such as CGNS; runs on Windows, Linux, and Mac, and has a scripting language, Glyph, that can automate CFD meshing. Manufacturing firms and research organizations worldwide have relied on Pointwise as their complete CFD preprocessing solution since 1994.